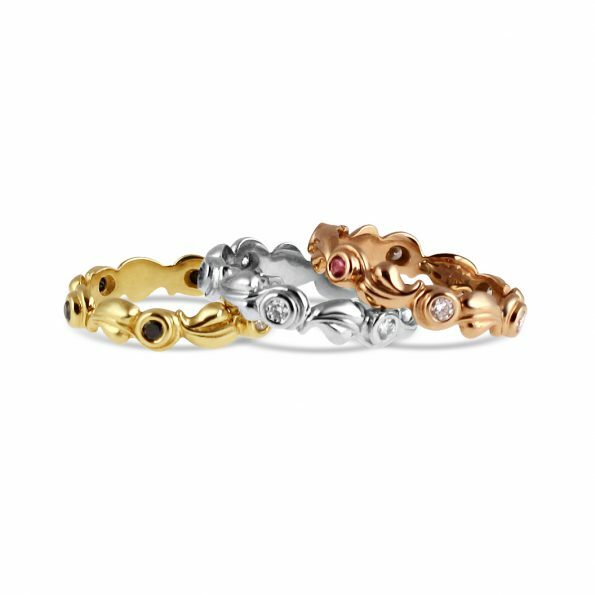 Timeless natural beauty, the Grace band is a charming eternity ring when worn solo, but can be a more creative statement when stacked with her sister Grace bands. 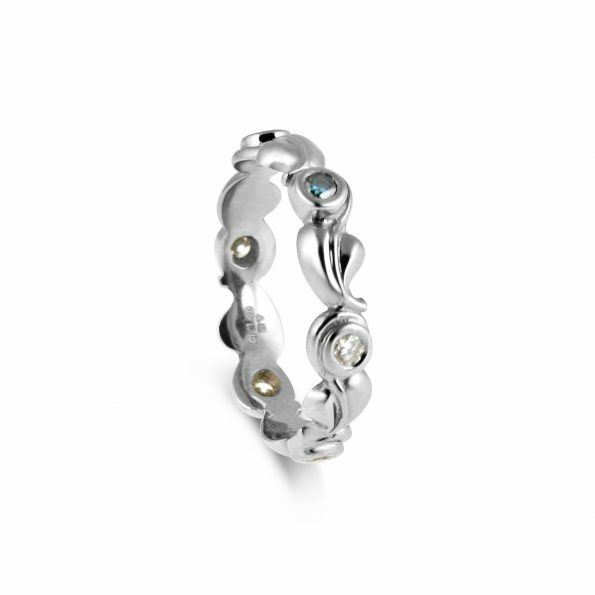 This delicate and sweet eternity ring is made in platinum, 18ct or 9ct white gold. The leaf details are interspersed with five white diamonds and one blue diamond. 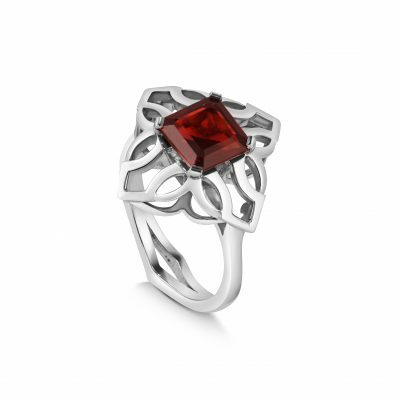 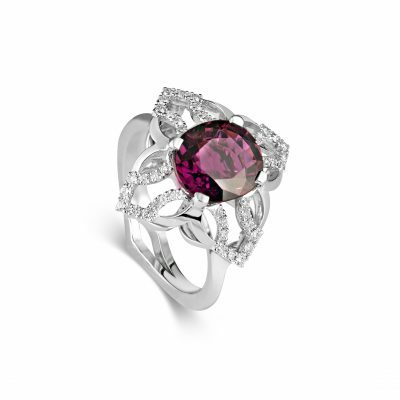 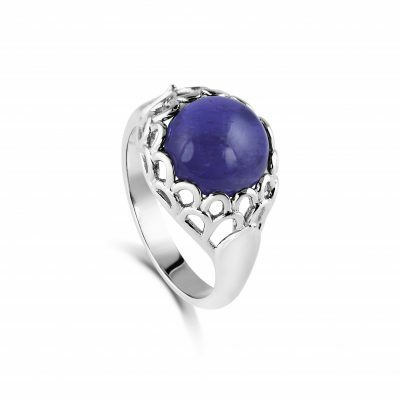 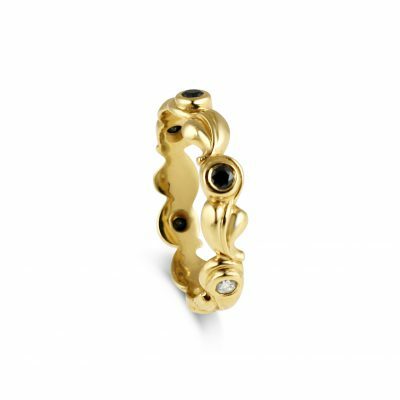 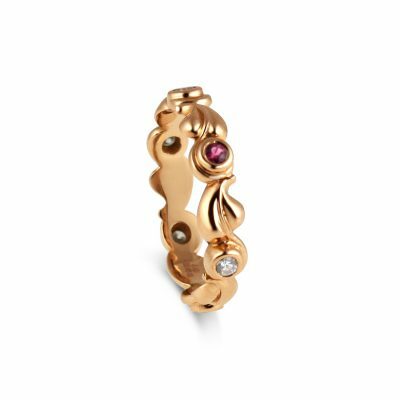 The Grace rings are available in gold & diamonds, and our demi-fine sterling silver with precious gemstones. A rainbow of colour options to stack and collect.